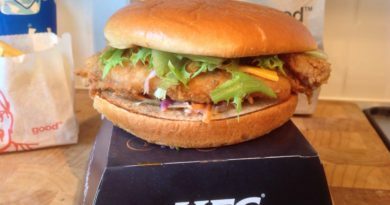 The AU Review are reporting that KFC are releasing the Zinger Black Burger from 22nd March to 18th April at KFC stores across Australia (exclusing Tasmania). 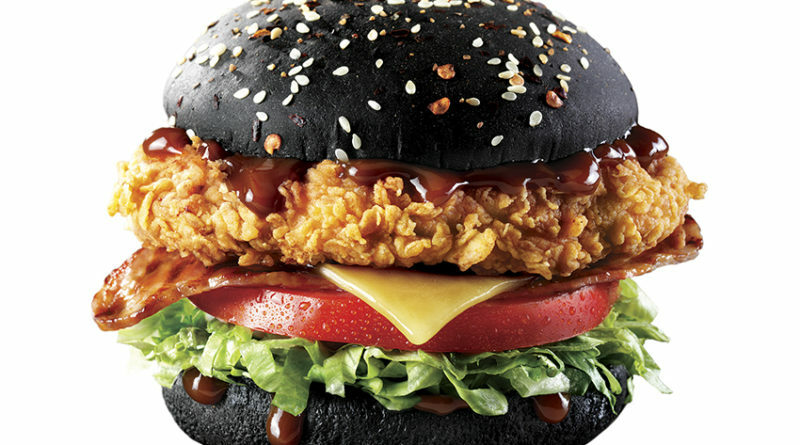 We’ve had black burgers in the UK before with the Burger King Halloween Whopper but this Zinger Black Burger sounds impressive. Clocking in at approximately 472 kcal this weighs in at 25 calories more than the standard UK Zinger. With the Zinger Stacker arriving from Australia onto the current UK menu, could we one day see the Zinger Black Burger in the UK? The AU Review previewed the new burger ahead of the launch last week as you can see from the picture below. 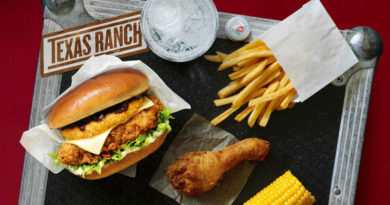 At time of writing, the KFC Australia website was unavailable which could be due people checking the website to get a glimpse of the latest black bun burger offering from one of the fast food giants. This is not the first time KFC have added coloured buns to their menus. 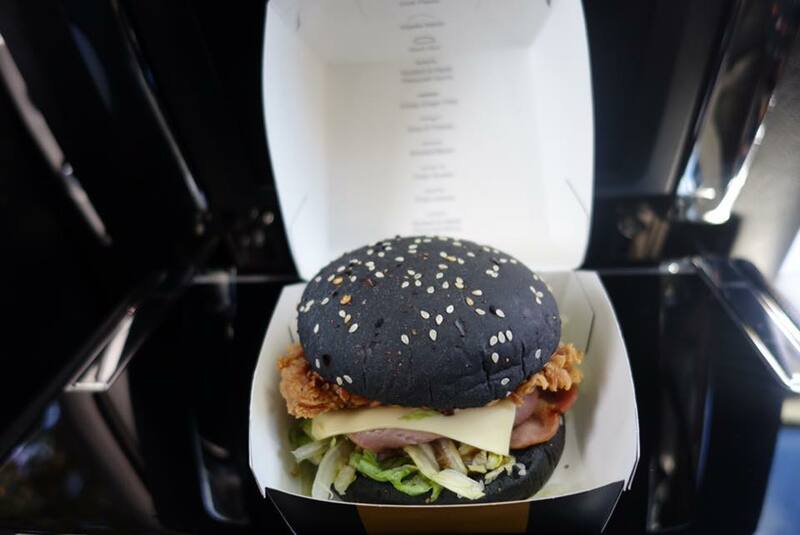 In August 2015, KFC China had both black and pink (or rose) buns on their menu for a limited time. The reaction on social media was actually less than favourable. Another burger with black buns is released. What do you think of this limited time offer? 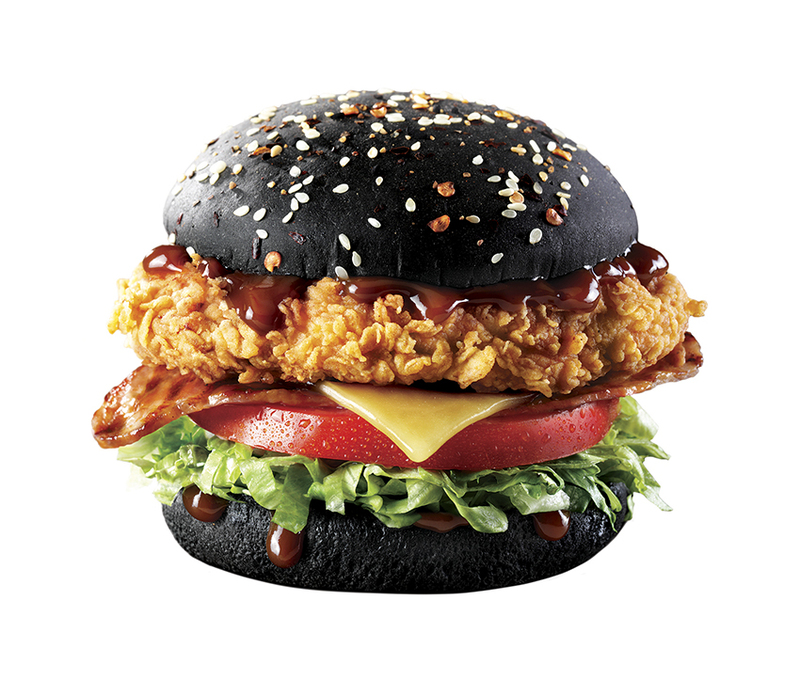 Would you hope to see KFC bring the Zinger Black Burger to the UK? 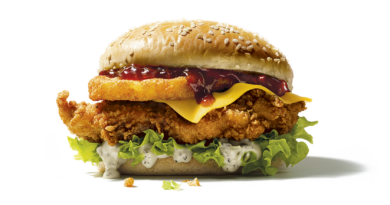 Are you in Australia and looking to sample the KFC Zinger Black Burger? I just tried and I didn’t get through it. Threw somewhere between a third to a half of the burger out. It was mustard maple sauce. I love Dijon mustard, but couldn’t taste the mustard, just the maple and it didn’t work. Sitting there thinking ‘I really don’t like this..’ while trying to eat is no fun, and then looking at the black bun was just making me feel sick. It was at that point that I gave up trying to finish it. The zinger black combo was $9.95 whereas a normal zinger combo is $7.95. I’ll always get zinger combos in future as I love them but never a zinger black again.